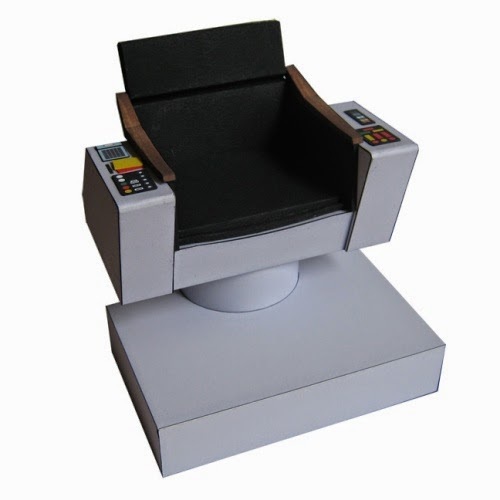 This papercraft captain's chair is a 1:9 scale model of the command chair of the USS Enterprise as it appears in the first episode of the original Star Trek television series. A PDF template with instructions may be downloaded from Perry's Paper. In the Kamen Rider Gaim television series, characters use a belt called a Sengoku Driver to transform into Armored Riders. Once in their armored state, the Riders are equipped to battle the inter-dimensional monsters that threaten their city. 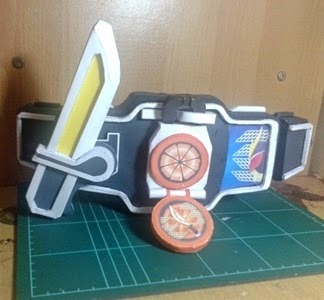 This faithful papercraft reproduction of a Sengoku Driver was created by DeviantART member Nandablank. The finished model features several movable parts. The Pepakura PDO templates for the belt may be downloaded here. UPDATE 3/17/19: The original model is no longer available. The link now points to a different model that is similar in most regards, but is missing some of the graphics shown in the photo. "A Treasure Goblin is a dungeon-exploring semi-monster... Despite his name and sneaky appearance, the Treasure Goblin doesn't seem to have the ability to steal from players or chests. He's just a sort of moving treasure chest, purely there as a bonus without offering any risk or danger." Video games need more characters like this. 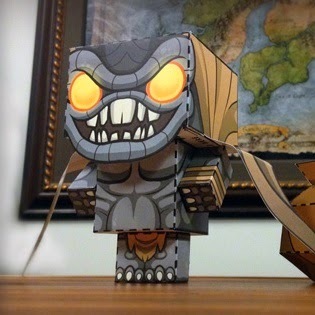 :) This papercraft Treasure Goblin is named Lewt and he comes complete with his own bag of treasure. Templates and instructions may be found here. The Disney Family website continues to produce great papercraft projects. 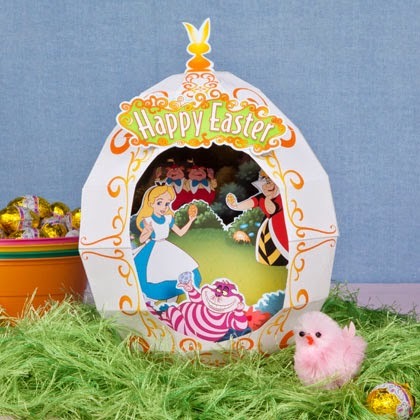 This Easter themed papercraft diorama features characters from Disney’s Alice in Wonderland, all engaged in an Easter egg hunt. Despite the complexity of the diorama, the template has only seven pieces! The PDF template for the model may be downloaded here. 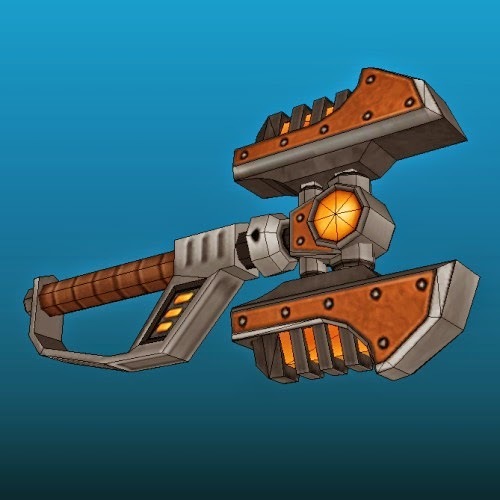 The OmniWrench 12000 is one of the more powerful weapons in the Rachet & Clank series of video games. As an added bonus, in the game an OmniWrench may used to repair items as well as attack enemies. This paper model of the OmniWrench 12000 was created by DeviantART member Mickey103. Mike the Knight is an animated television show that in the US airs on Nick Jr, a channel aimed at younger children. 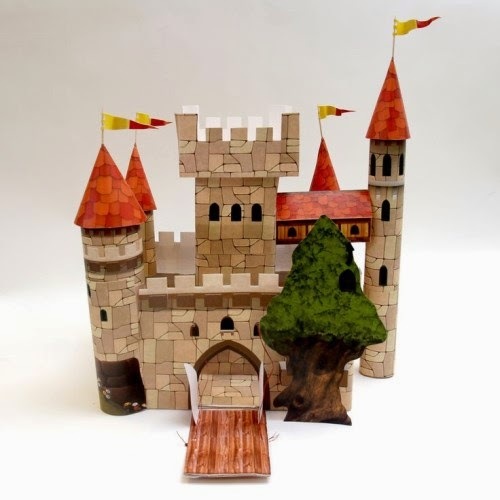 The Nick Jr website offers printables of many kinds including this paper model of Mike the Knight’s castle. Also, available are cut outs of characters from the show that may be used with the castle. 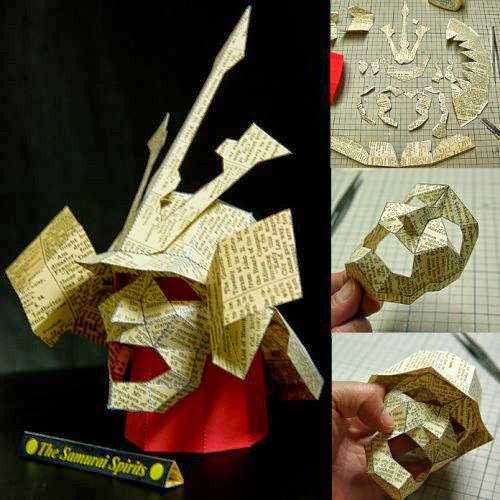 Entitled "The Samurai Spirits", this papercraft kabuto by Takashi Okada is designed to look as if it were folded out of a page from an old newspaper. 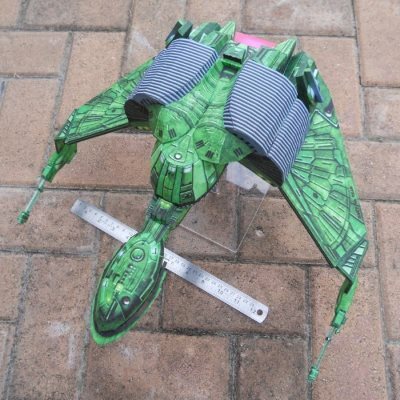 At only fifteen parts, the helmet is an easy build. The PDF template for the model may be downloaded here. The red stand and the name plate shown in the photo are included.